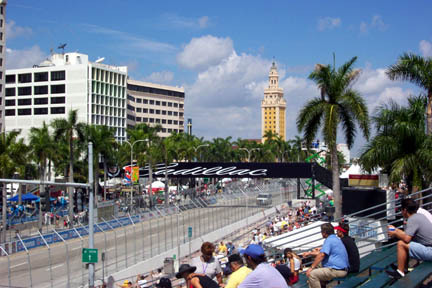 On October 6th, Rick and his friend from Italia, Pietro, took in the inaugural Grand Prix of the Americas, a motor race even featuring CART cars. 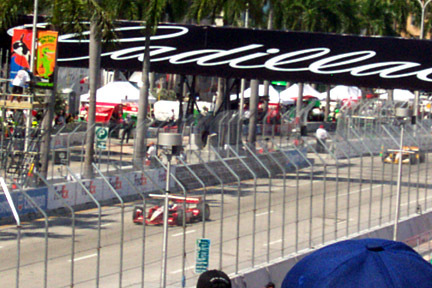 It was the third from last race of the season and a race in which Brazilian Cristiano da Matta clinched his first CART championship driving for the Newman/Haas Racing Team. 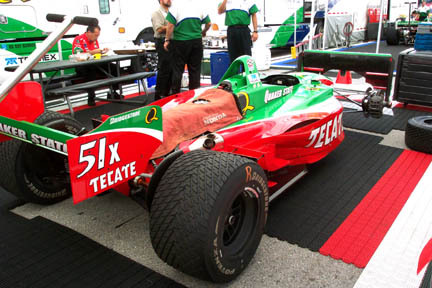 Adrian Fernandez' car gets ready for the race in the "garage" area. 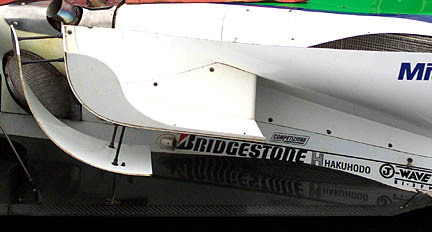 Detail of a racecar's sidepod. 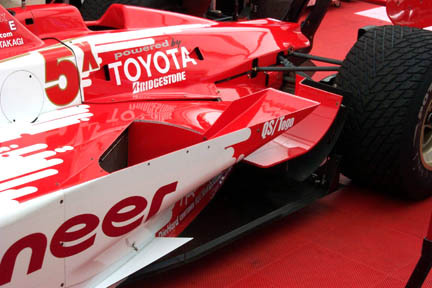 Note the various aerodynamic "tricks" employed to manipulate airflow. 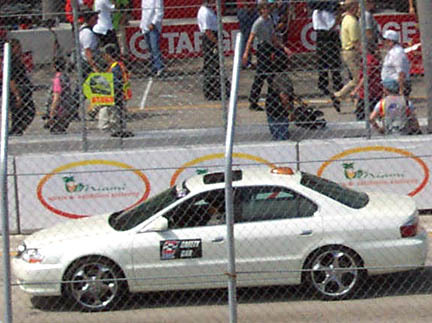 No, this isn't Brenda driving her Acura Type-S on the race, but a CART pace car. Thanks to Pietro, who got us the best seats in the field! 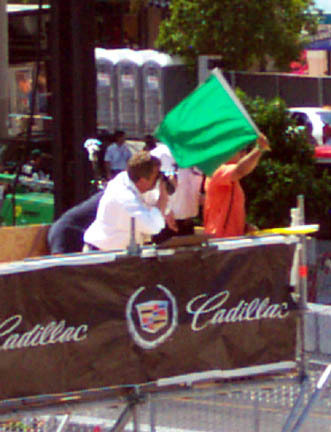 BMW WilliamsF1 Formula 1 driver Juan Pablo Montoya waves the green flag to start the race! The cars speed down the straightaway! 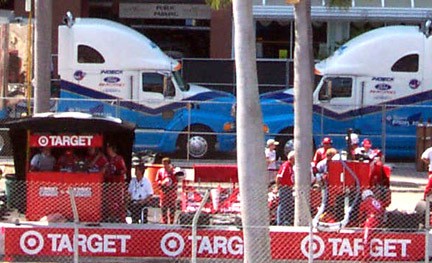 The Target/Ganassi pits were directly opposite our seats. 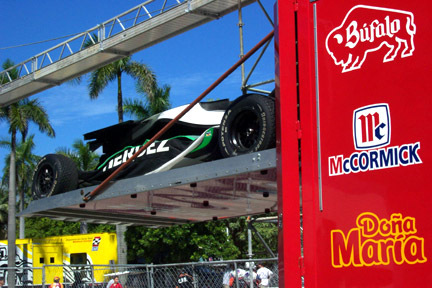 Loaded up and ready to move on...to Australia for the next race! The End, Miami Booty style!